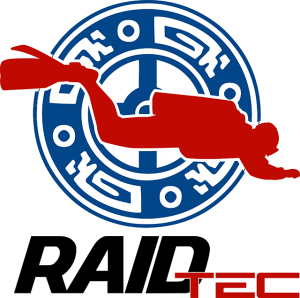 The RAID Deco40 course is a great introduction to high quality technical diving. It is an entry-level decompression program created with the recreational diver in mind, certifying the student to complete up to 10 minutes of decompression and use deco gas up to 100% O2 with a maximum narcotic depth of 30m/100ft (normoxic and/or hyperoxic trimix is used). Certified RAID Advanced 35 or equivalent. Certified RAID Nitrox and Deep40 or equivalent. WHY CHOOSE THE DECO40 COURSE? The RAID Deco40 course, taught by Andy Davis, reflects the most comprehensive and complete entry-level technical diver training available anywhere in the world. It encompasses superior training in fundamental scuba skills, team diving, decompression protocols and normoxic/hyperoxic trimix use. The aim of this course is to provide students with the knowledge, equipment and gas selection, mindset and procedures to empower a very high degree of safety on the most challenging deep no-stop dives. Redundant gas via backmount doubles, sidemount or single cylinder with stage. 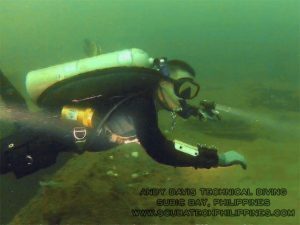 Effective preparation for further technical diving training on Deco50 and Deco60. Equipment set-up and configuration backplate/wing BCD. Confined water skills include precision buoyancy, horizontal trim, control and propulsion techniques (frog, modified flutter, helicopter turn and back kick), s-drills, descent checks, air-sharing long hose, deco/stage remove and replacement, gas switching drills and DSMB deployment. Every dive includes precision buoyancy standards, descent checks (bubble check and s-drill), gas management (SAC), ascent and stop protocols, DSMB deployment and varied emergency scenarios. All skills developed during this program are applies cumulatively; so the skills learned on the first dive will be applied on each successive dive. A high standard of mastery is applied throughout the entire program and certification is entirely performance-based. includes certification for normoxic/hyperoxic Trimix! not including nitrox/trimix gas fills (at extra cost) or equipment rental.